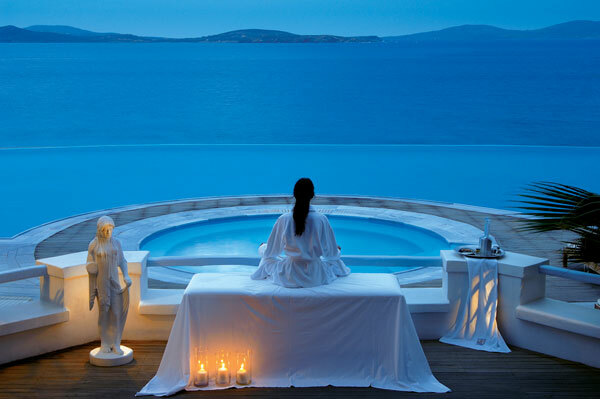 Saint John Villas & Spa is the ultimate summer resort in the most cosmopolitan island of Cyclades. It is the place most celebrities seeking for luxury and comfort choose for their vacations . It is situated in an idyllic location in Agios Ioannis in an extension of 20,000 sq. m. It is comprised of a private sandy beach, swimming pools, courts as and 156 room (standard, suites, villas). The rooms offer a comfortable accommodation making guests feel at home. They have opulent furnishing and elegant decoration that don’t reminisce at all of a hotel room. The expensive and fine fabrics as and the small details make all the difference. Latest in life safety systems: sprinklers, smoke detectors, fire alarms, voice communication network throughout the hotel. 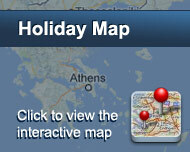 It is an integrated proposal for your holidays as it offers all sort of services. Restaurants, fitness center, beauty center, activities and recreational programs within the hotel make your stay a truly unique experience. Είστε ιδιοκτήτης ή διευθυντής στο SAINT JOHN HOTEL VILLAS & SPA; Εγγραφείτε τώρα για δωρεάν εργαλεία, που μπορείτε να χρησιμοποιήσετε για να βελτιώσετε την καταχώρησή σας και να συνδέσετε την ιστοσελίδα σας και το σύστημα κρατήσεών σας.